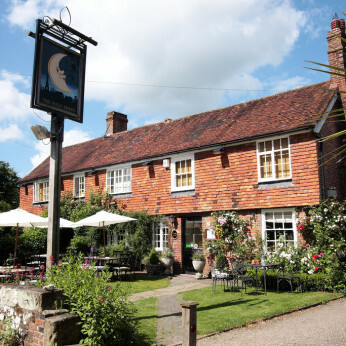 The Half Moon is a picturesque country pub in West Sussex owned by former model and celebrity chef, Jodie Kidd. The focus is very much on honest organic locally sourced food served in a picturesque and relaxed atmosphere. From local real ales and craft lagers to fine Sussex Wines, our beverage list is equally important to us and we work hard to ensure it is diverse and constantly evolving.